Our Diamonds - Rosenberg Diamonds & Co.
Our fascination with diamonds begins with the understanding of their unique characteristics. The classic elegance of a timeless round brilliant, prismatic flashes found within a fiery radiant cut, or glimpsing beneath an emerald shape’s crystal-clear depths; knowing what makes your diamond special is the key to knowing both its importance and value. Not all diamonds are created equal. There are a number of variables that affect every aspect of a diamond’s beauty. This is where Mr. Rosenberg’s expertise shines most. We are dedicated to helping make the process of owning and appreciating your diamond as simple and enjoyable as possible from start to finish. To ensure the highest level of accountability for the quality of our diamonds, the entirety of Rosenberg Diamonds extensive collection is verified both in-house and exclusively certified by the Gemological Institute Of America (GIA). We choose to deal exclusively with GIA for their strict and rigorous testing methods. Known ubiquitously as the 4C’s, the characteristics used to grade and certify diamonds consist of carat, cut, clarity, and color. The diamond is renowned for its reputation to set hearts aflutter and doubly so when it is a stone of significant size. 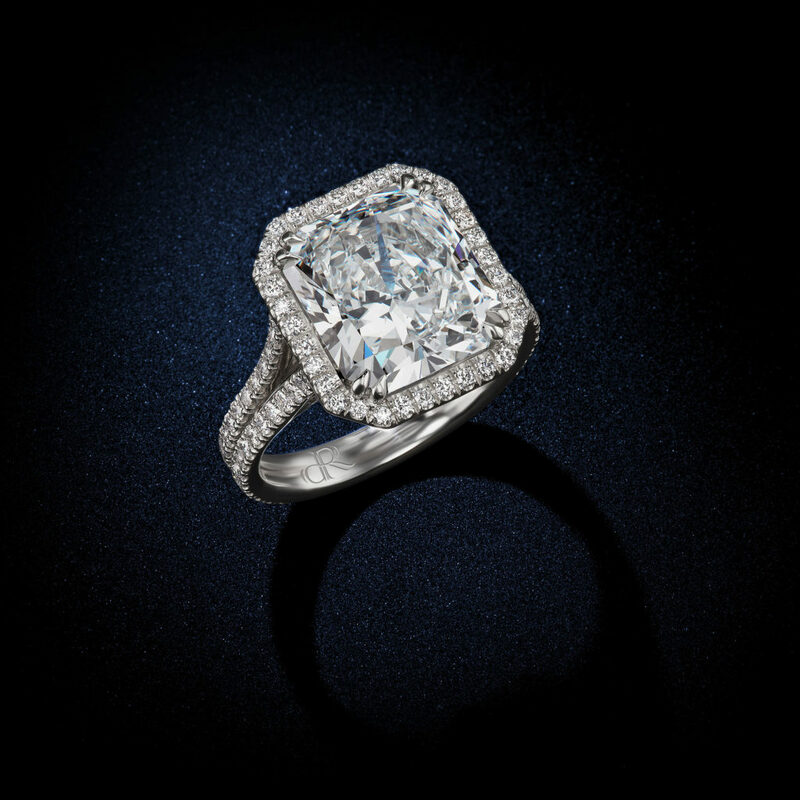 In the eyes of an expert, however, the number of carats it contains is most attractive. Diamonds are measured by their weight with units called carats. A single carat consists of 100 equal units called points. 1 carat is equivalent to 100 points and weighs 200 milligrams, or one-fifth gram. Carat weight is most often written in decimal numbers, though it can be expressed in fractions as well. An Example: A 5.11 carat diamond is equivalent to 5 carats and 11 points or “five point eleven carats”—roughly just over one gram of weight. Likewise, a “two and three-quarter diamond” is equivalent to a 3.75 carat diamond. The value-per-carat of a diamond increases exponentially with its carat weight. There is a good reason for this. Cutting and polishing a larger diamond not only requires more effort and experience, but also demands a much larger rough source to work with. In fact, the availability and rarity of diamonds over even just 5 carats is astronomical in comparison to gem quality diamonds in the 1-3 carat range. The rarity of discovering these stones leads to larger diamonds being orders of magnitude more valuable than those even just half their weight. While a diamonds shape refers to its outline and geometry, a diamond’s cut is the quality of its shape and its ability to conjure the highest level of brilliance. 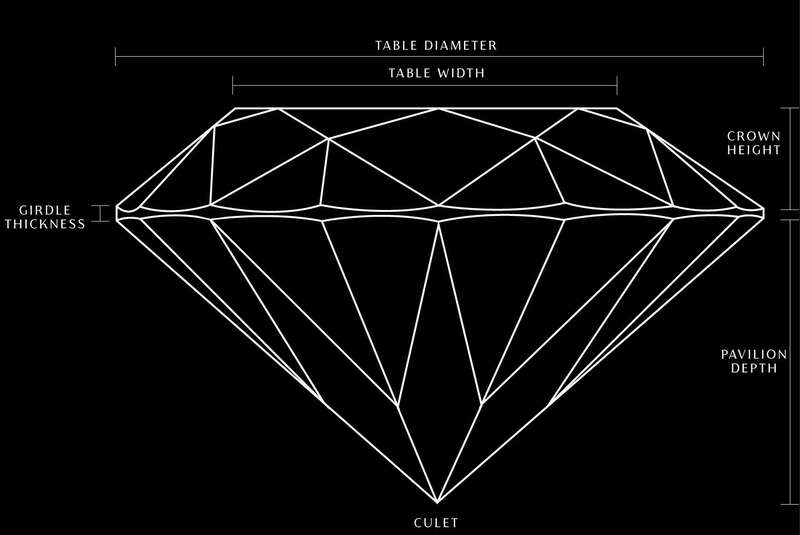 Several variables comprise the cut of a diamond, the most important of which are proportions, faceting, symmetry, and polish. These elements all contribute to how masterfully a diamond commands and reflects light; its fire, brightness, and scintillation. Cut can be the deciding factor between two similar stones. Two diamonds sharing the exact same carat weight can appear very different in size and quality depending on their cuts. A properly cut diamond will almost always appear more alive—larger, clearer, and brighter. To provide the ultimate in brilliance, we demand the pinnacle of quality for our masterpieces. As Mr. Rosenberg scrupulously cherry-picks every diamond in his inventory, only those with the most exquisite cut qualities within each shape are considered for selection. 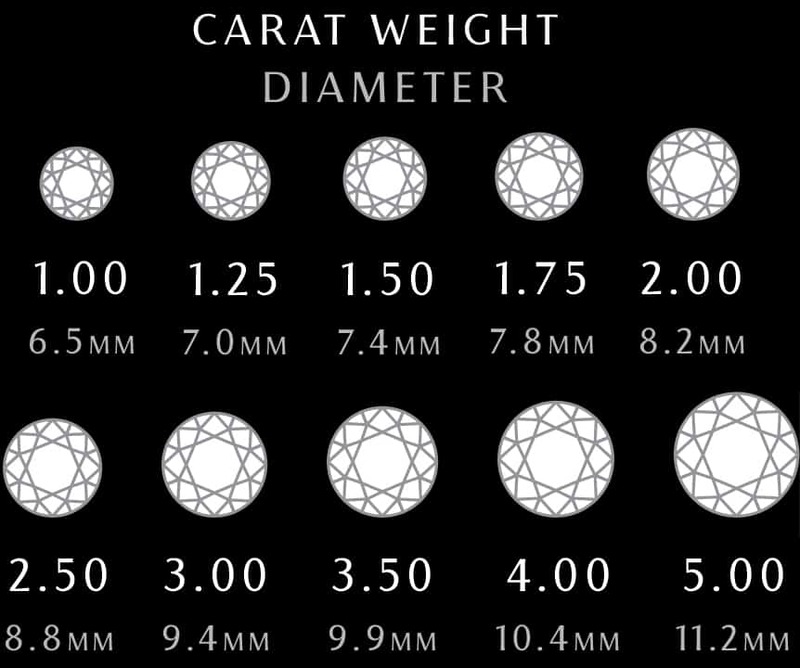 An important property unique to round brilliant diamonds are the proportions of length between the major facets. As a round diamond aims to be perfectly symmetrical, if the proportions of these angles are not within the ideal range, a diamond will be unable to sparkle with the same fire as an excellently cut stone. Rosenberg Diamonds proudly provides stones that emphasize the diamonds inner beauty and remain within the ideal proportions necessary for excellent grading. Reflection and refraction of light through deep, shallow, and excellent proportion diamonds. The process by which natural diamonds are created is an incredible combination of heat, pressure, and delicate timing. Throughout their formation, Diamonds are exposed to a multitude of factors that decide not only color but also clarity. A diamonds clarity is determined by the addition, position, and prevalence of characteristics known as inclusions or blemishes. These are identified as distortions in a stone’s crystal lattice like cracks, bubbles, carbon, nicks, scratches, or any other imperfection. These imperfections are exceptionally small and difficult to see to the naked or untrained eye. An expert appraisal and 3rd party certification (such as GIA) are necessities when determining a diamonds clarity. It is important to note that while no diamond is entirely perfect, the higher its clarity, the higher its value. Diamonds come in every color one can imagine. From the colorless Golconda type IIa ‘whiter-than-white’ stones of legend to a kaleidoscope of fiery shades across the spectrum, the diamond remains one of Earth’s most beautiful and versatile natural treasures. A diamonds color quality is typically determined according to standards set by GIA. 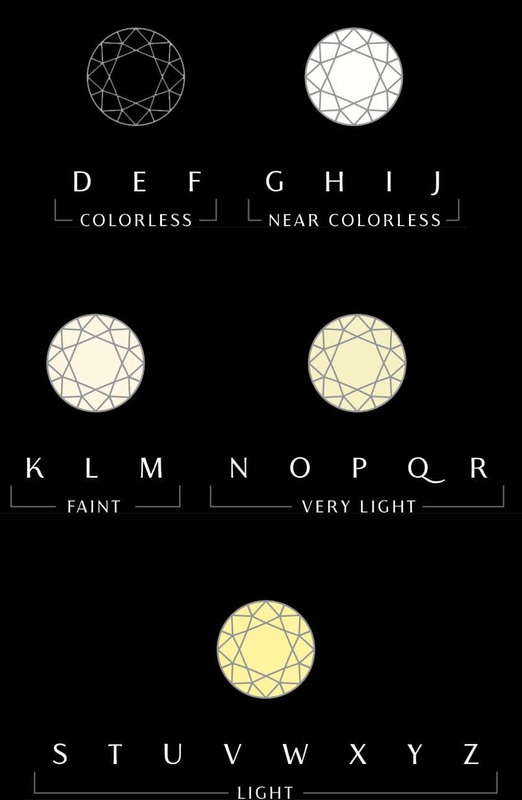 According to this scale, white diamonds are graded under controlled lighting and compared to ‘master stones’ on a scale ranging from D representing complete colorlessness through Z which shows significant presence of a yellow or brown hue. For white diamonds, the absence of color results in a more valuable gem. Rosenberg Diamonds & Co. features one of the most impressive collections of natural fancy color diamonds available anywhere in the world. David Rosenberg regularly designs and creates masterpieces incorporating natural fancy yellow, green, purple, pink, violet, blue, orange, and red diamonds. With decades of experience dedicated to honing a discerning eye for the most distinguished and rarest fancy colors on earth, David Rosenberg’s experience has paved the way toward his industry wide reputation as a bonafide expert. When it comes to rarity, importance, and beauty, the crown securely rests with the natural fancy colored diamond. Natural fancy color diamonds are exceptionally rarer than white diamonds and are extremely sought after by collectors and investors. Unlike with white diamonds, clarity is not an overwhelmingly important characteristic of the natural fancy colored diamond. In this realm, color is truly king. Natural color diamonds are graded according to the saturation, hue, and distribution of color inherent in their depths. As the saturation of the color increases, so too does a natural fancy color diamonds demand, value, and rarity. The grades range from the faint presence of color to the fancy vivid saturation of hues across the color spectrum.